Northern climates with less humid, milder summers may not call for the highest degree of efficiency. ENERGY STAR® qualified cooling and heating efficiency and quiet operation. Northern climates with less humid, milder summers may not call for the highest degree of efficiency. 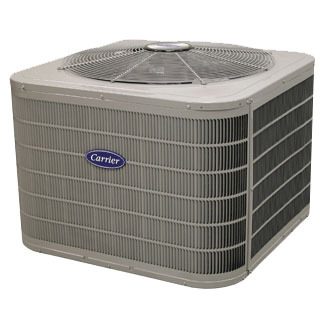 This model gives you the benefits of Infinity, ENERGY STAR® qualified cooling and heating efficiency and quiet operation. 1 Quietest size within each model group during most common cooling operating condition. 2 To the original owner, when product is used in a residence, a 10-year parts limited warranty upon timely registration of your new equipment. Warranty period is 5 years if not registered within 90 days. Jurisdictions where warranty benefits cannot be conditioned on registration will automatically receive a 10-year parts limited warranty. See warranty certificate for complete details.